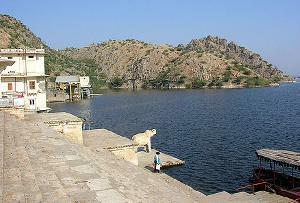 Constructed as a relief project in Rajasthan, the Rajsamand Lake is one of the five popular lakes in Udaipur. 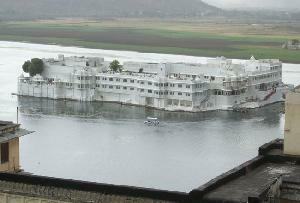 Being built by Maharana Raj Singh in 1660, the water body is also famous with the name Rajsamudra Lake. 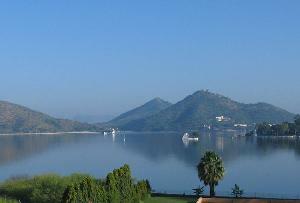 The beautiful lake is situated to the north of Udaipur, between the cities of Rajnagar and Kankroli. What separates Rajsamand lake from the other lakes in Udaipur are its ornamented embankments, which are made up of white marble. Right on these beautifully carved embankments, lies nine domicile pavilions, which serve as the highlighting part of the lake side structure.